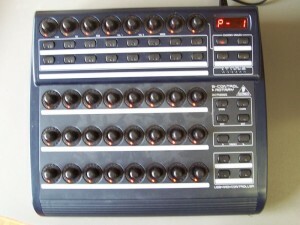 The BCR2000 is a midi controller from Behringer . 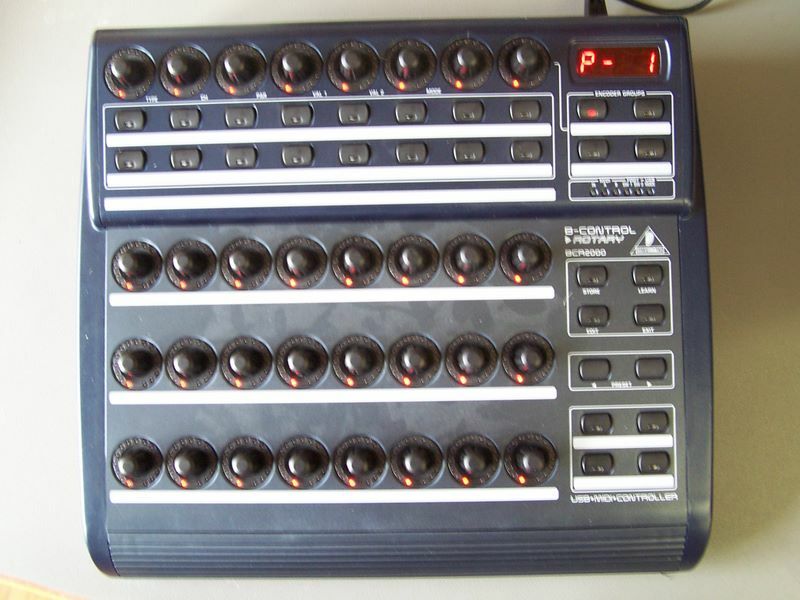 You can use it to modify midi parameters with pushbuttons and rotary knobs. 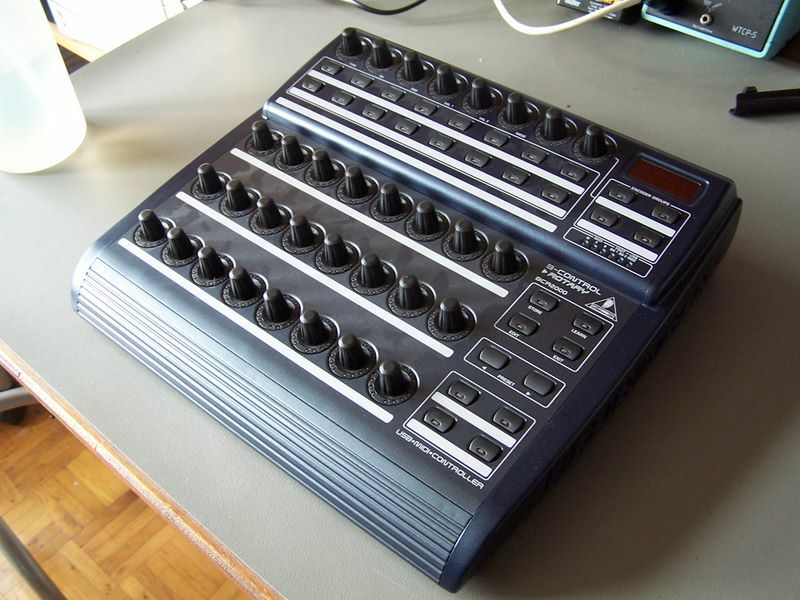 The BCR2000 is not really expensive (current price (Sept 2010) is 139,- euro from feedback). 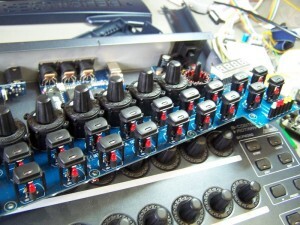 It has a few minor drawbacks like the infamous “wobbly knobs”. 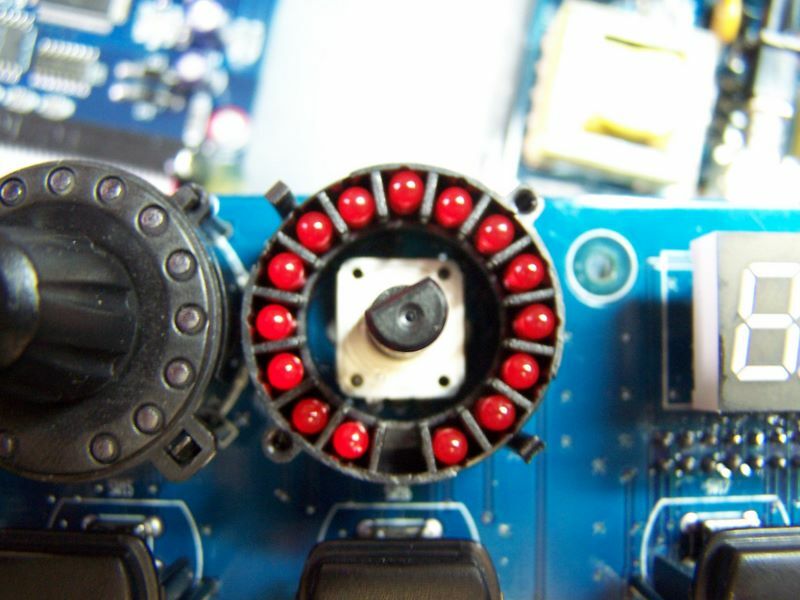 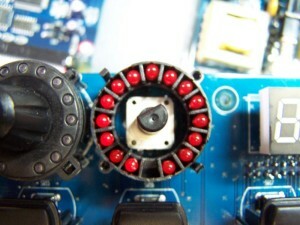 All rotary encoders have a string of leds as indicators. 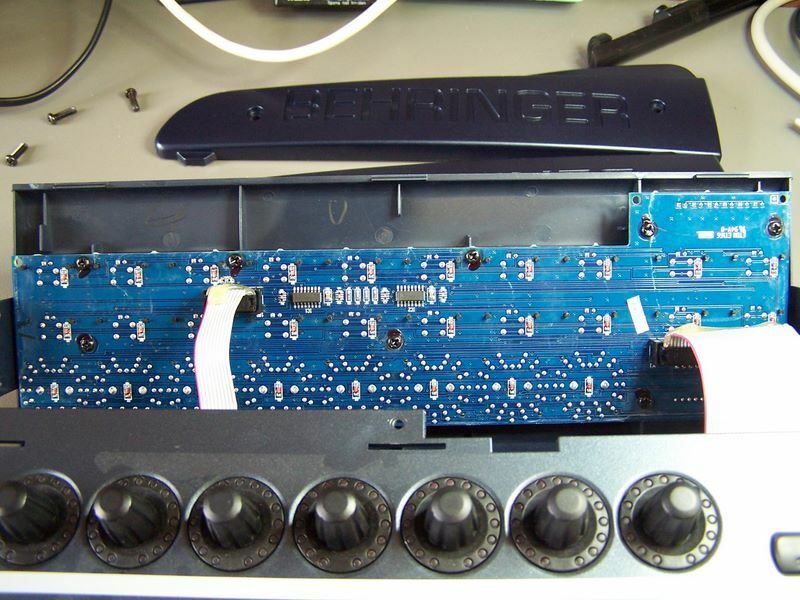 I had expected Behringer would have used prefab modules with switch and LEDs for this from Bourns or Avago and was surprised to see this was not the case. 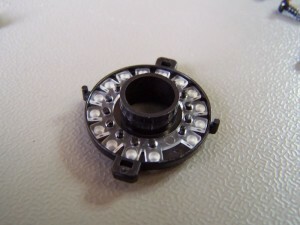 All rotary knob and led parts are built up from separate parts. 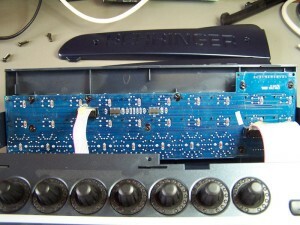 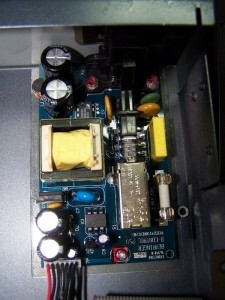 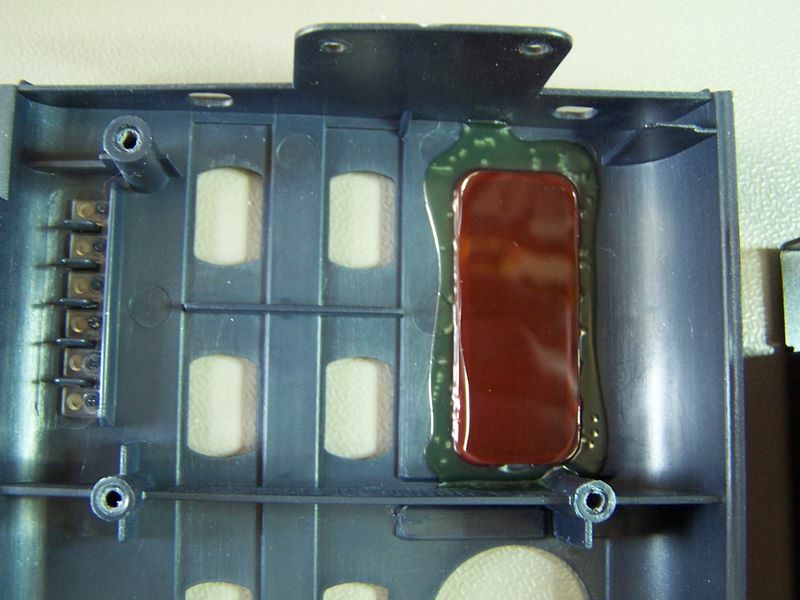 The BCR2000 consists of an amazing number of parts. 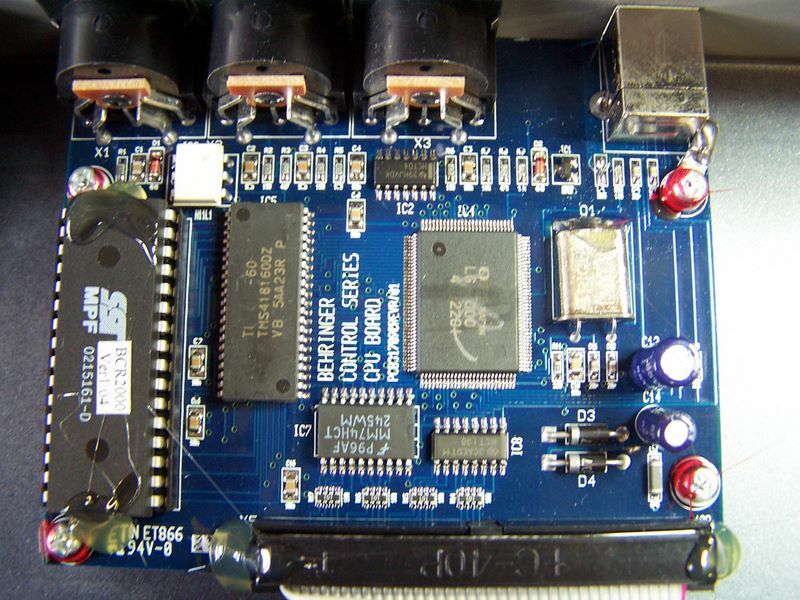 The BCR2000 has a swichmode power supply an d 3 other PCB-s.
1 x PDF OKI L671000: An ARM7TDMI CPU with full speed USB and UART, handy for MIDI. 1 x TMS 418160DZ, a 2 MB DRAM. 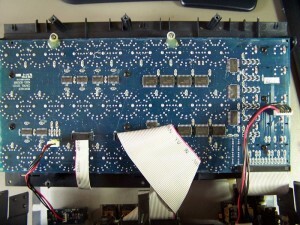 The CPU apparently has DRAM Refresh logic on board. 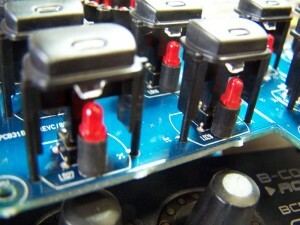 1 x H11L1 “6-Pin DIP Schmitt Trigger Output Optocoupler” for the receiving side of the MIDI current loop.